Wendy Jane Bantam incorporates storytelling into painting, which she calls personal narrative. For the residency, she has planned a lecture on color and line, followed by a slide show or field trip to the Sheldon Memorial Art Gallery or Gallery Nine Artist Cooperative. 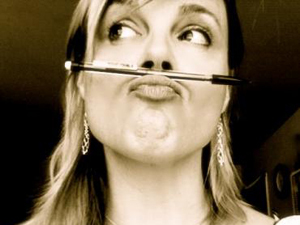 She will talk about the different ways artists have of expressing mood and telling a story visually. To reinforce their inspiration, she will complete the workshop by working with the students on developing their own methods of storytelling. Experimenting with different media, such as chalks, oil pastels, markers, brushes and paints, they will learn to create original art. Wendy's extensive exhibition record includes a twenty-year retrospective at Doane College in 2008 as well as many other exhibits. She holds a Master of Fine Arts degree in painting and multi-media from the University of Nebraska Lincoln.